Producing the very best New York style sausages since 1957. Since 1957, Parma Sausage Co. has been producing the very best New York Style Sausages from an original family recipe. This is the real deal, originated in Italy and then brought to Queens, New York. Our sweet and hot Italian sausages are true classics, the genuine taste of New York. Our dad, Vincenzo Giocoli — everyone calls him Jimmy— grew up in Accettura in Southern Italy. He came to Astoria, Queens, to work in his uncle’s butcher shop, and in 1957 he founded Parma Provisions, with a mission to bring a high-quality product at an affordable price to everyone who loved classic Italian sausage. Jimmy made his sausages by hand and went door-to-door, store-to-store, and his passion became a New York institution people have come to love. We craft special recipes and blends - from the smallest customer to the largest chain restaurant, if you can dream it, we can make it. We can also produce chef-inspired sausages and proprietary meatball blends. No order or client is too small or too big! Our goal is to consistently deliver high quality products, always succulent and juicy, never dry, using the best ingredients. Our father Jimmy always told us “food brings people together,” and this is why we never settle for less, when we can make the best. We guarantee superior ingredients, old-fashioned taste, old-world craftsmanship, and superior customer service. We offer many products wholesale, and can produce any of our products or custom orders in any quantity. 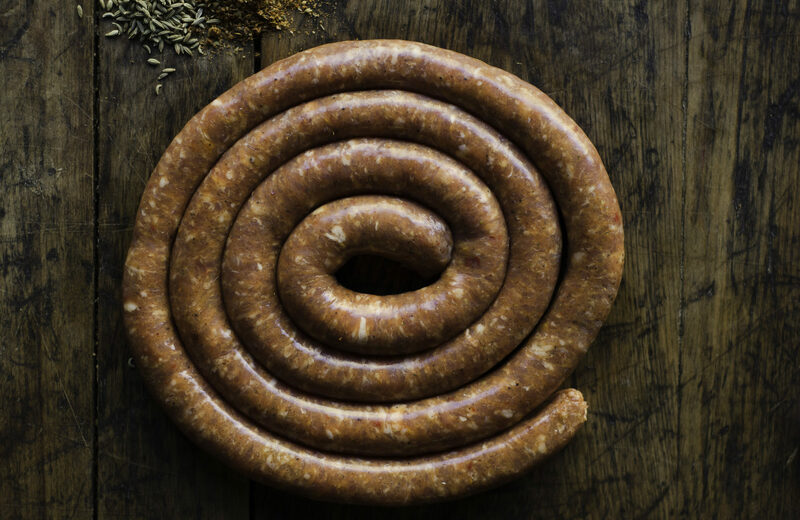 We’ve been making the best sausages in New York for sixty years, and can produce the very best for you.